Is acne caused by a 'bad' strain of bacteria? 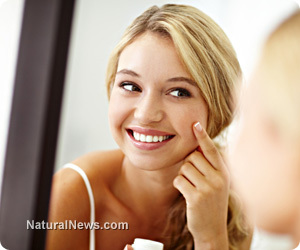 (NaturalNews) Teenagers are faced with a myriad of challenges while growing up, one of which is acne, which affects four out of five Americans between the ages of 12 and 24. Thankfully though, there are effective treatments available right now that work to combat acne and ultimately reduce the damage caused by severe acne breakouts. However, a recent study has shed new light on the problem and may change the way that acne treatments work in the future. The recent study carried out by researchers at the University of California, Los Angeles (UCLA), has found that the popular conception that all bacteria found on skin is equally bad may be incorrect. These new findings which were published in the Journal of Investigative Dermatology on February 28 could usher in a new age of acne skin treatments that harbor 'good' bacteria. According to Huiying Li, an assistant professor of molecular and medical pharmacology at the David Geffen School of Medicine at UCLA, "People have been treating acne as though all bacteria were the 'bad guys' in acne. Our study shows that some strains may be bad, but some strains may be good." Using over-the-counter pore-cleansing strips; researchers extracted bacteria from the surface of 101 volunteer's noses - 49 with acne and 52 with clear skin. Once they had extracted the bacteria and closely examined it, among their findings, the most significant of all was that a third strain of P. acnes bacteria are found predominantly in healthy, clear skin. This has led researchers to the hope that this discovery could eventually revolutionize acne treatments and at last bring some relief for those heavily afflicted with the skin problem, "So we are really excited because potentially there is a good guy that protects the skin from getting acne," says Li. "That means there could be a simple cream or lotion with the good strain added that can stop pimples from developing before they even start." The results don't actually prove anything... that might lead us to a holy grail of acne treatment. Ultimately, the results simply show that people with clear skin sometimes also harbor the P. acne bacteria, just as acne sufferers do. Those are the only conclusive results, the rest is speculation. You would expect that of course there would be some difference in the strains of bacteria found on the skin of both acne sufferers and those with no acne. The differences in environment regarding acne-prone skin and that of unaffected skin dictate that this should be so. As a result, although intriguing, the findings of this study don't really show anything particularly surprising or ground breaking for that matter. Previous studies of acne have also shown that the acne process starts not with bacteria but with the clogging of the pores due to hormonal shifts experienced while in puberty or just before a menstrual cycle for women. This is what initially causes the inflammation that leads to acne and this is what current acne treatments are aimed at combating, although there is yet to be a significantly effective acne aid in this area. Similarly, other studies have also shown that genes related to the immune response are upregulated (more active) which could mean that the 'bad' strains of bacteria thrive more easily in this type of environment whereas the so called 'good' strains are killed off. Still, it is further food for thought and perhaps a reason to remain optimistic that acne might one day be beaten. Seppo Puusa writes AcneEinstein.com blog - the place for science-based advice about alternative and natural acne treatments. We all love natural solutions to health problems, but with so many different solutions out there it can be hard to know what really works. That's where AcneEinstein.com comes in. I scour the scientific literature and report back to you. His book Clear for Life: Science-Based Natural Acne Treatment Program is available on Amazon. Visit AcneEinstein.com to get science-based answers to your natural acne treatment questions.